In the Roman Empire, the Latin word castrum was a building or area of land used as a fortified military camp. A castrum could be applied to various fortifications from a large legionary fortress, auxiliary forts to temporary marching camps. 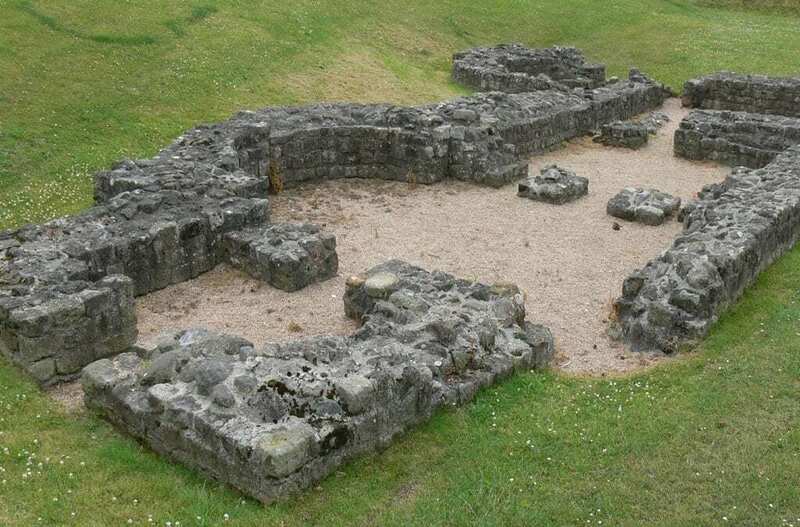 When the Roman’s arrived on the shores of Britannia around 43CE, they built a series of forts over hundreds of years, that stretched from the southern coast of Britannia and as far north as the Moray Firth around Inverness in Scotland. 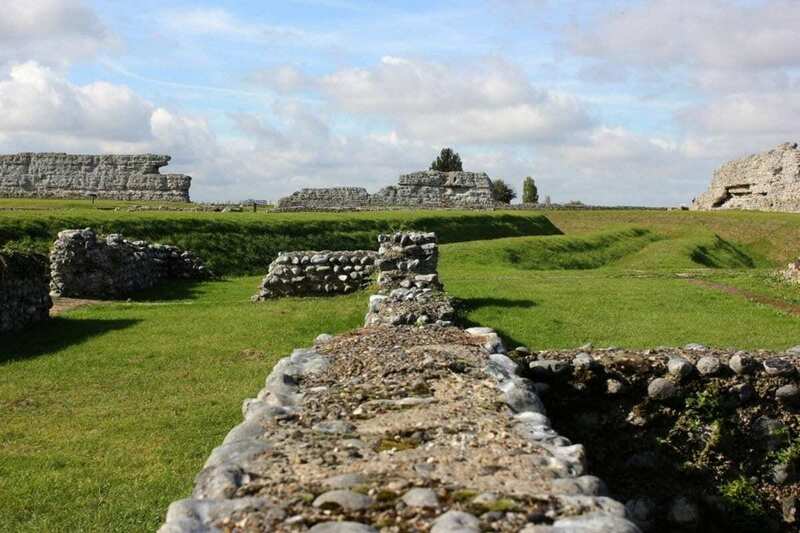 Fort construction even carried on into the last centuries of Roman Britain, with the construction of Saxon Shore Forts (click here), to deter and provide protection for the inhabitants from Saxon and Frankish Pirates. 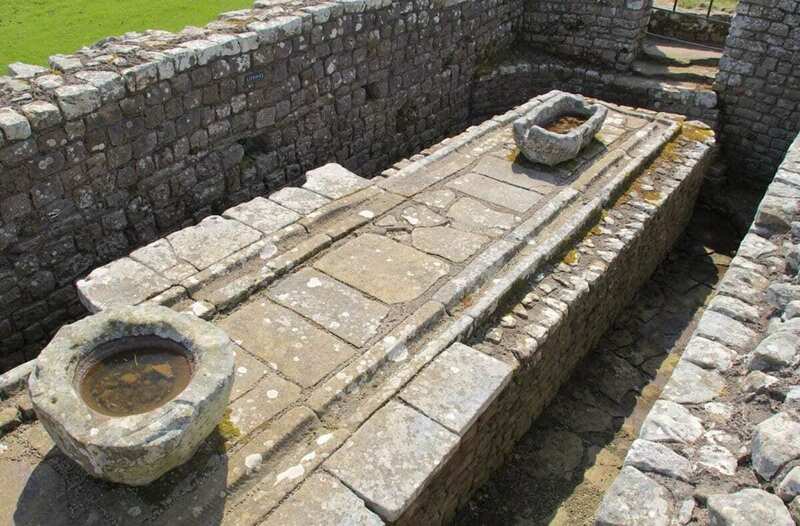 Vindolanda was a Roman auxiliary fort constructed in close proximity to Hadrian’s Wall in Northumberland. 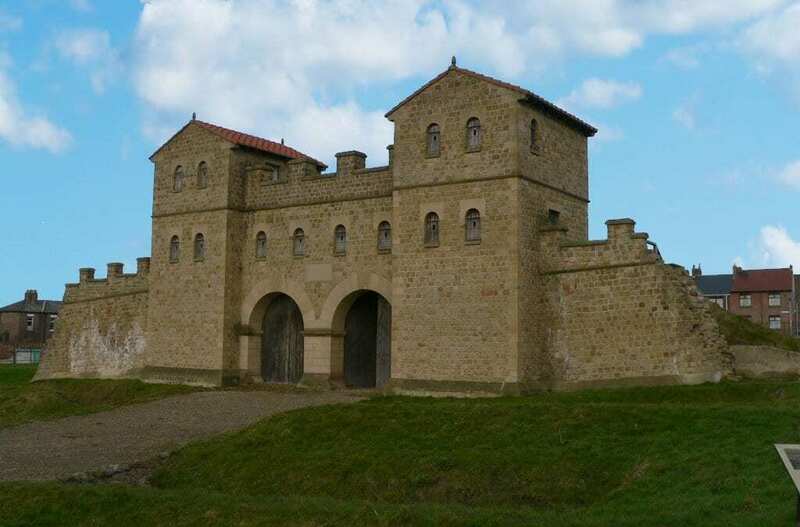 The fort was occupied from 85 CE through to 370CE by infantry and light cavalry to provide protection for the Stanegate, a main Roman highway from the River Tyne to the Solway Firth. 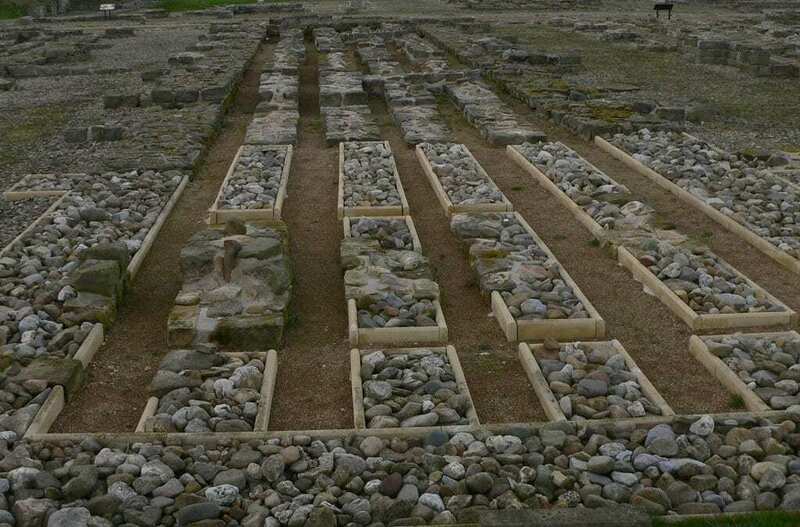 A self governing village or “vicus” developed to the west of the fort that contained several rows of buildings and a thermae (a large imperial bath complex). 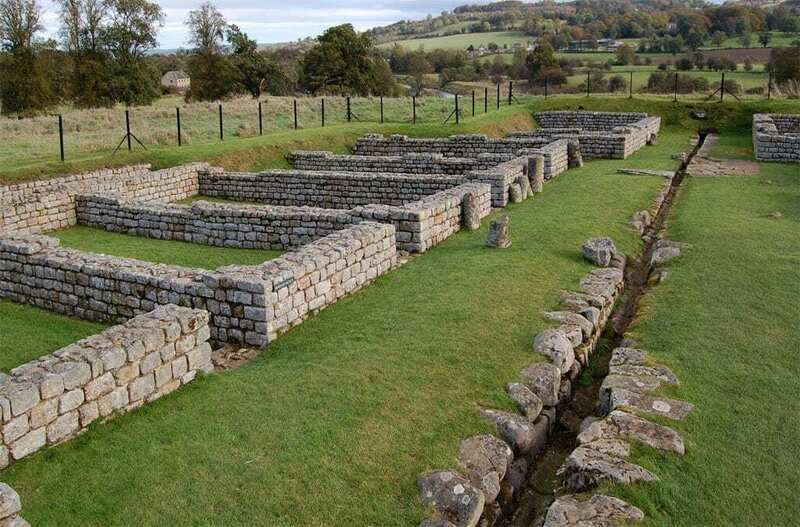 Vindolanda and the vicus has seen various stages of development and abandonment, with the last phase of re-construction of the fort being around 300CE. 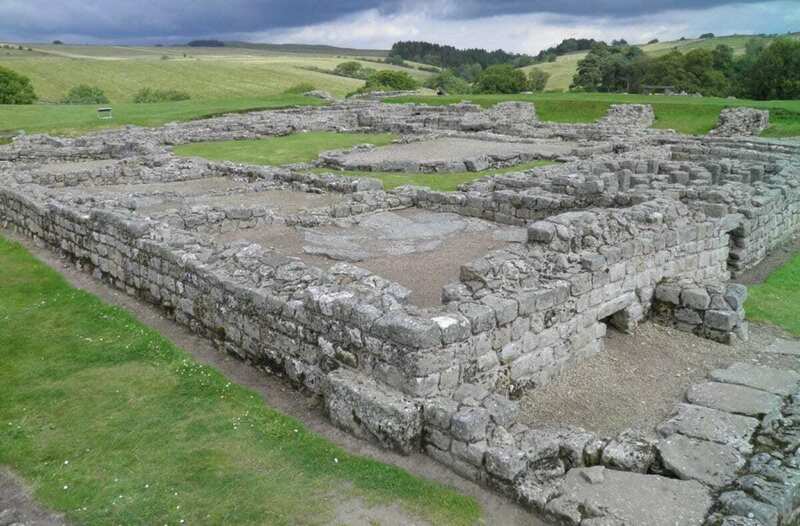 Vercovicium, now known as Housesteads Roman Fort was an auxiliary fort on Hadrian’s Wall in Northumberland, England. 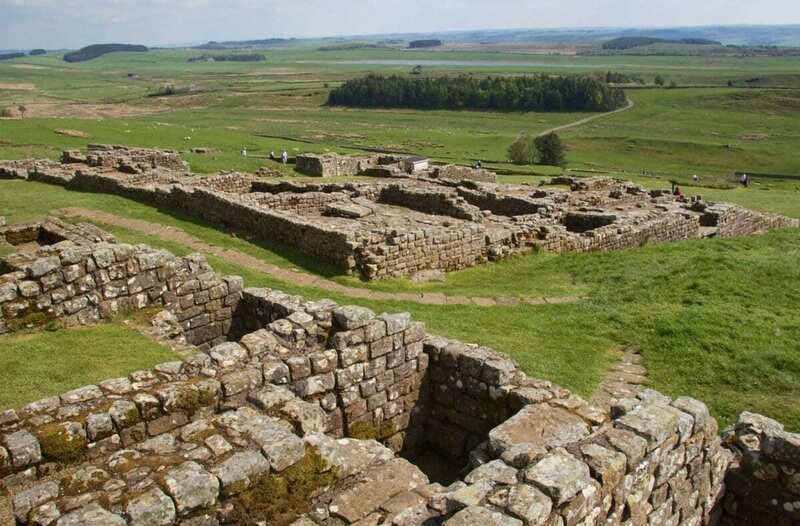 The fort was constructed around 124CE, shortly after the completion of Hadrian’s Wall and was rebuilt several times until its abandonment in 409CE. 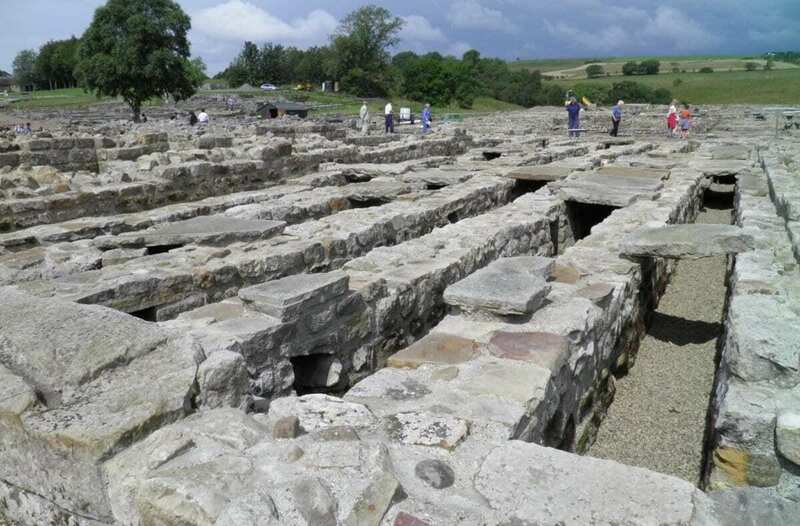 Covering an area of 4 acres, within its walls are a number of buildings including the fort’s headquarters and commander’s house, granaries, barracks, a hospital, and some of the best preserved latrines in Roman Britain. 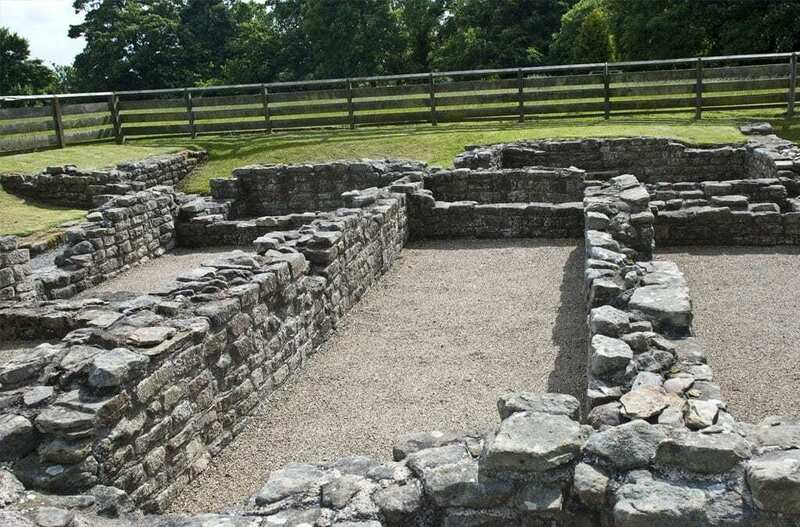 A substantial civil settlement (vicus) existed to the south, where two skeletons were found beneath an apparently newly laid floor that has been dubbed “The Murder House”. 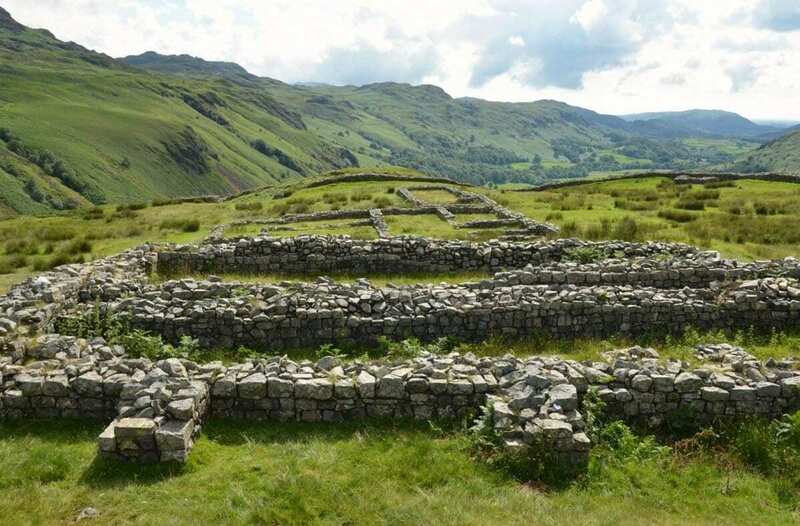 Hardknott Roman Fort, originally named Mediobogdum is located adjacent to Hardknott Pass in the fells of the Lake District in Cumbria. 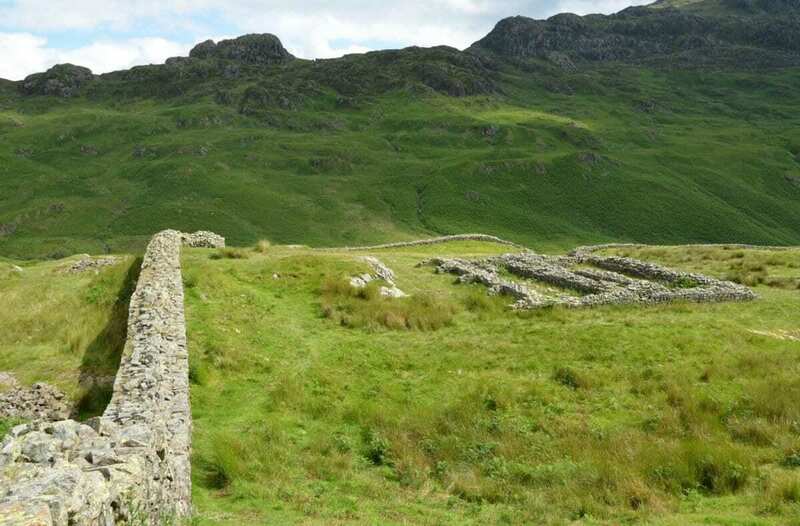 The fort was built on a rocky spur, giving the defenders a strategic view over the River Esk in both upper and lower Eskdale. At an altitude of 800 feet, it isn’t the highest fort in Britannia, but certainly has some of the most impressive views and setting for a military base. 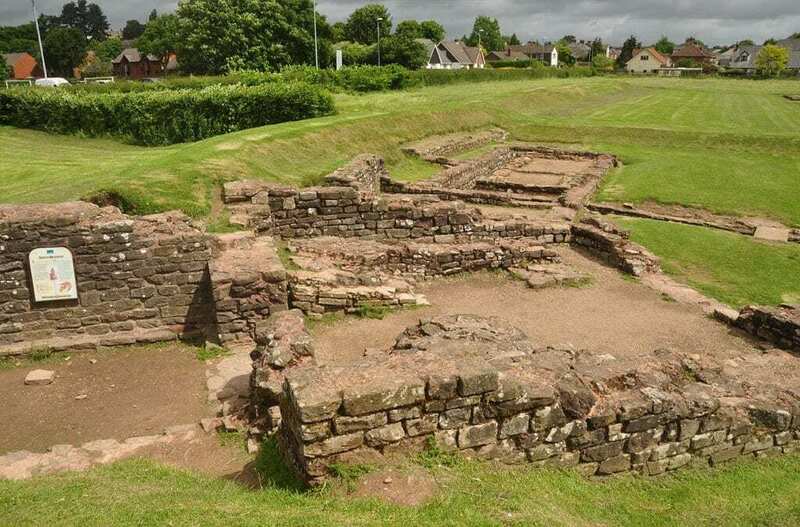 Mediobogdum was built between 120CE and 138CE, but was abandoned during the Antonine advance into Scotland during the mid-2nd century. The fort was reoccupied around 200CE and continued in use until the last years of the 4th century. 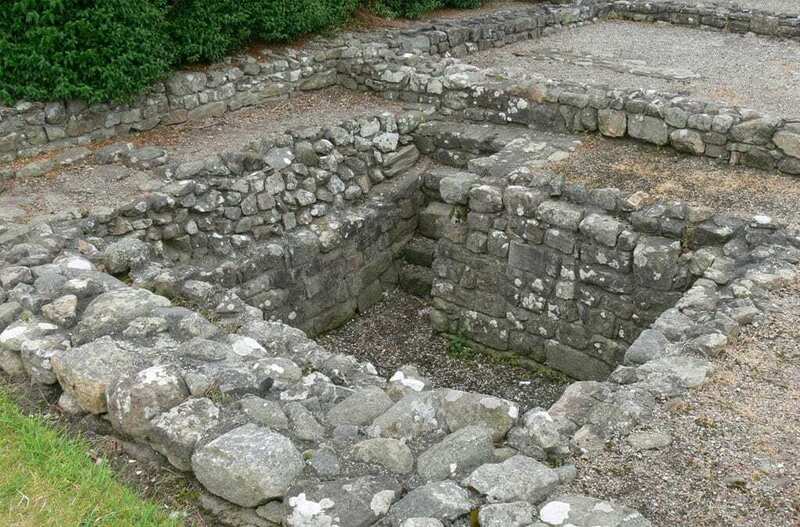 Binchester Roman Fort, Vinovia or Vinovium was a Roman fort and vicus situated on the banks of the River Wear in County Durham. The fort was built around 79CE to guard the river crossing and main road that connected York, Hadrian’s Wall and borderlands. The fort consists of several phases of contruction, with the most notable being a reduction in size from 17 acres (large enough to accommodate a battle-group formed of several cohorts of legionary infantry) to a smaller fort that was garrisoned by cavalry units. Despite most forts becoming abandoned during the collapse of the Roman Empire, the area around Binchester seems to have remained occupied by the local population long after Britannia ceased to be a Roman province. 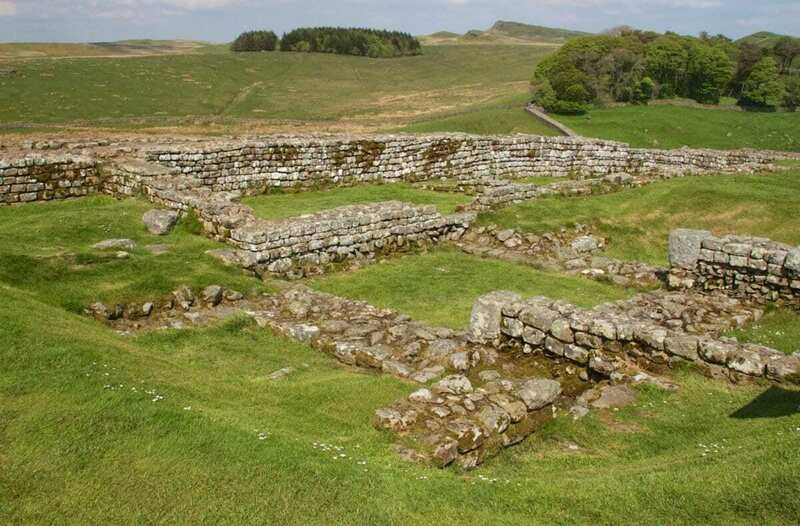 Cilurnum or Cilurvum was a fort on Hadrian’s Wall mentioned in the Notitia Dignitatum near the village of Walwick, Northumberland. Construction of the fort was in the year 123CE, shortly after the completion of Hadrian’s Wall and is considered one of the best preserved of the Roman cavalry forts. 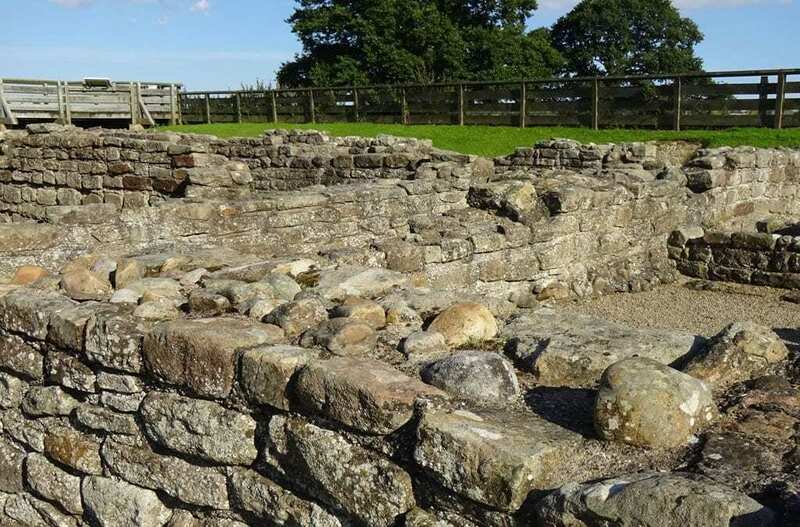 Cilurnum was built to defend Chesters Bridge, a major route on the Military Way towards the River North Tyne and was also a base for retaliatory raids into barbarian areas north of the wall. 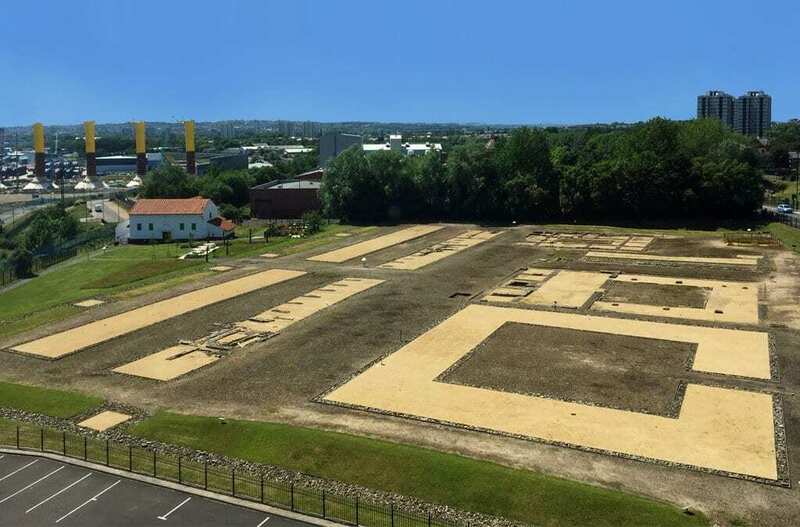 Arbeia is a partially reconstructed Roman fort in South Shields, Tyne & Wear, England that was built around 120CE overlooking the River Tyne on Lawe Top. 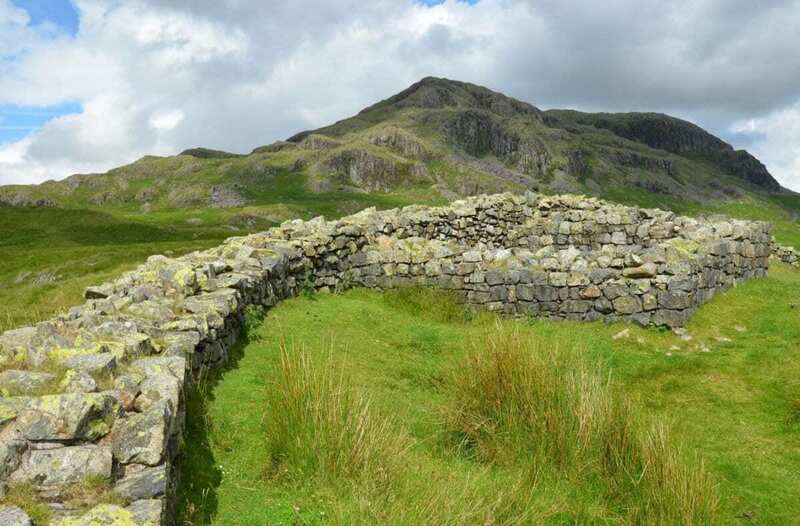 A possible meaning for “Arbeia” is “fort of the Arab troops”, referring to the fact that some historians believe that part of its garrison at one time was a squadron of Mesopotamian boatmen from the Tigris and a maritime supply fort for Hadrian’s Wall. Arbeia was abandoned in the 5th century after the collapse of the Roman Empire. 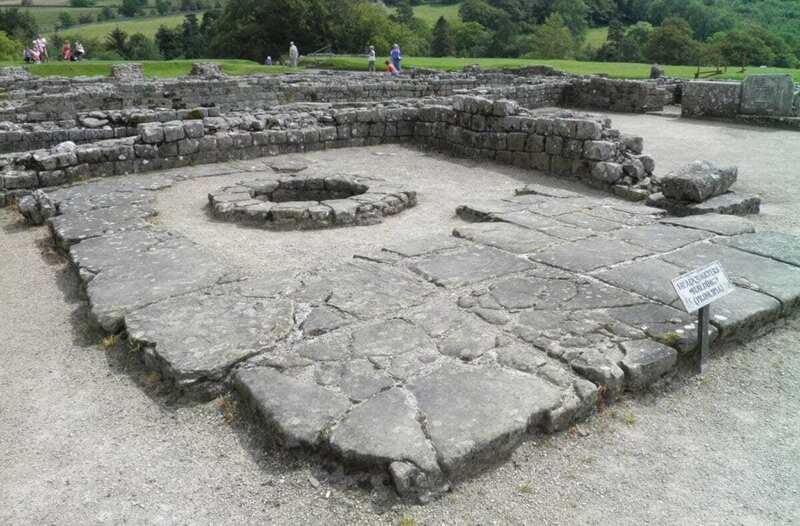 Segontium is a Roman fort on the outskirts of Caernarfon in Gwynedd, North Wales. The fort, which survived until the collapse of the Roman Empire was garrisoned by Roman auxiliaries from present-day Belgium and Germany. It was the most important military base and administrative centre in this part of Britain. The fort probably takes its name either directly from the Afon Seiont or from a British settlement itself named for the river. It is possible, however, that it is connected to the Segontiaci, a British tribe mentioned by Julius Caesar. 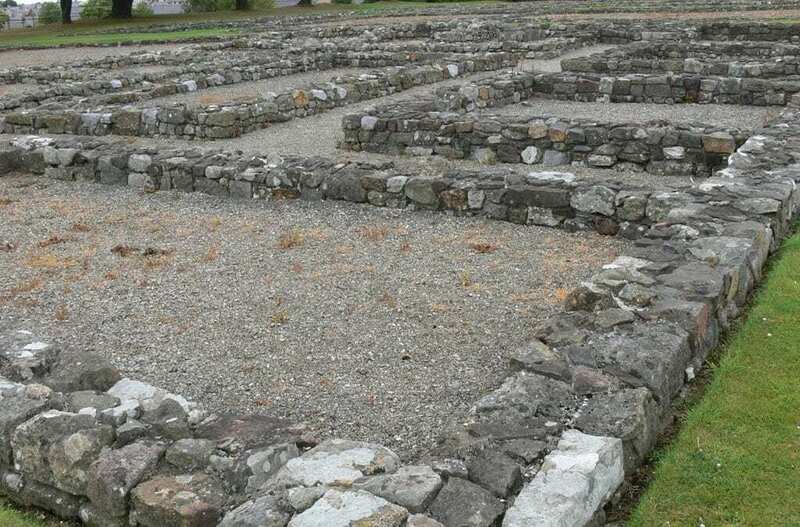 Segontium was founded by Agricola in ad 77 or 78 after he had conquered the Ordovices in North Wales. 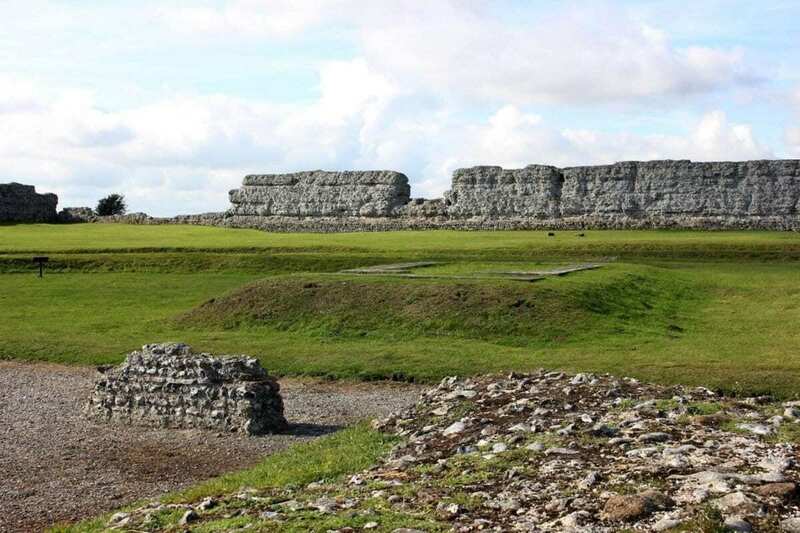 It was the main Roman fort in the north of Roman Wales and was designed to hold about a thousand auxiliary infantry. 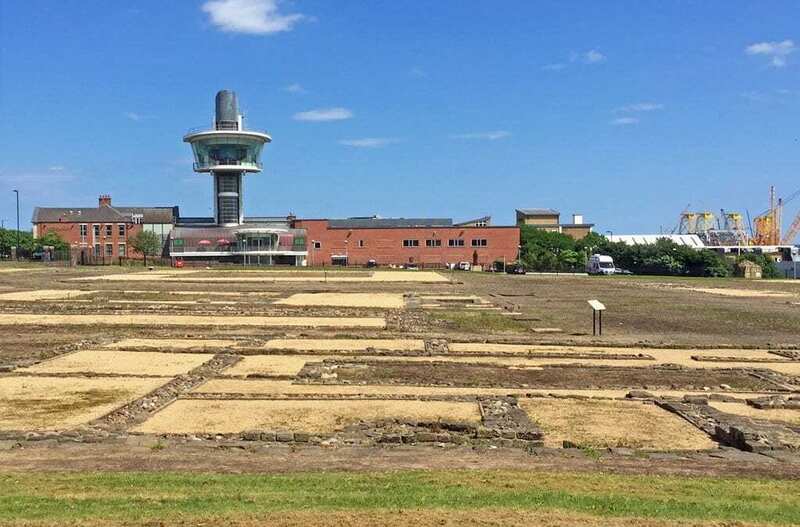 Segedunum was a Roman fort at modern-day Wallsend, Tyne and Wear, England, UK. The fort lay at the eastern end of Hadrian’s Wall (in Wallsend) near the banks of the River Tyne, forming the easternmost portion of the wall. 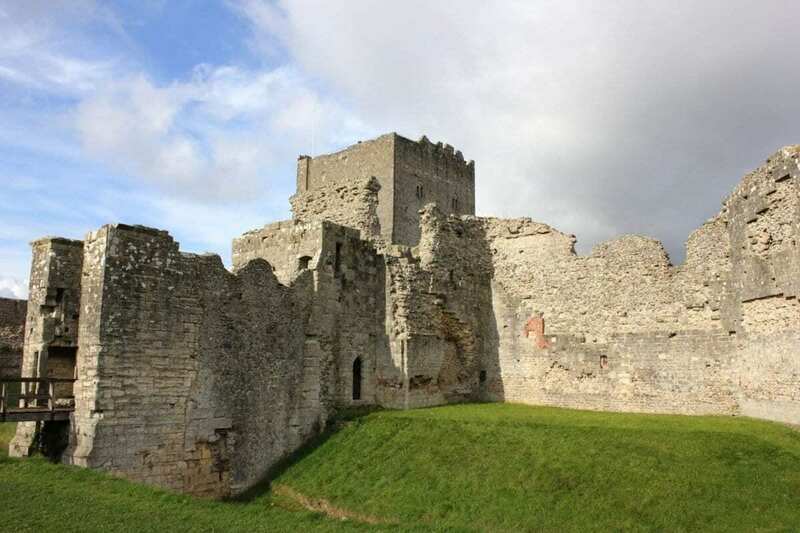 It was in use as a garrison for approximately 300 years, almost up to 400CE. 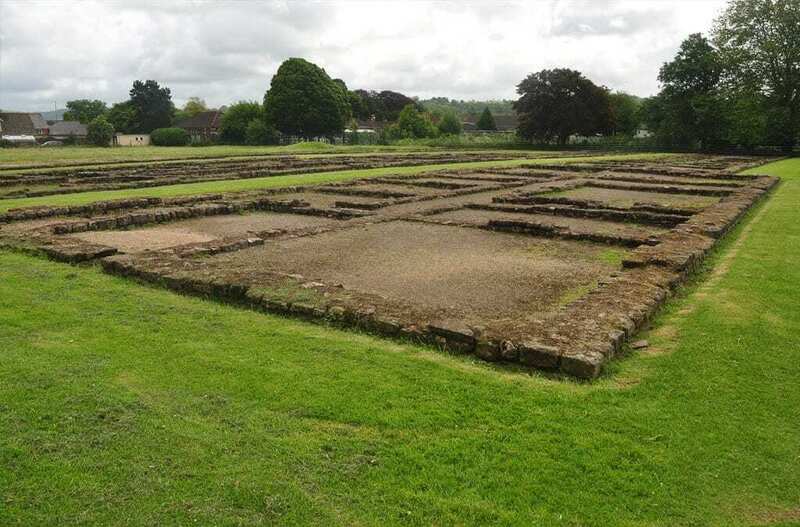 The original garrison of Segedunum is unknown, but in the 2nd century the Second Cohort of Nervians was stationed there. In the 3rd and 4th centuries the part-mounted Fourth Cohort of the Lingones occupied the fort, as recorded in the Notitia Dignitatum. There is evidence that there was an extensive vicus, or village surrounding the fort, including the area to the north of the wall. 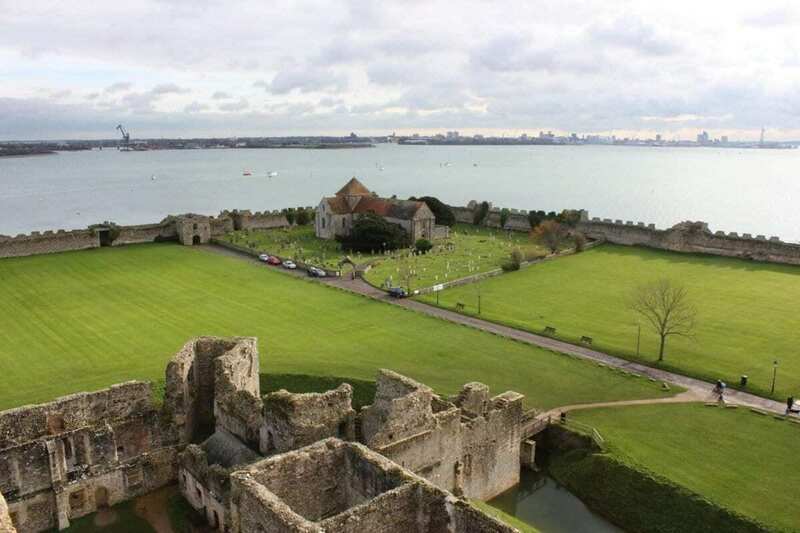 Portus Adurni was a Saxon shore fort, situated at the north end of Portsmouth Harbour that was later converted into a medieval castle known as Portchester Castle. Unusually for a building of this period, most of the walls and bastions are complete which makes Portus Adurni one of the best preserved Roman forts north of the Alps. 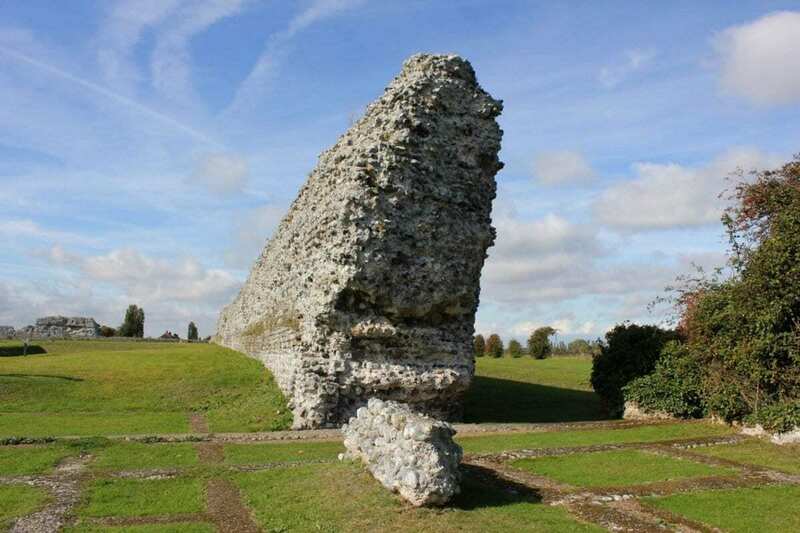 After the collapse of the Roman Empire, Portus Adurni became an Anglo-Saxon residence and later a Norman Castle and Medieval palace. 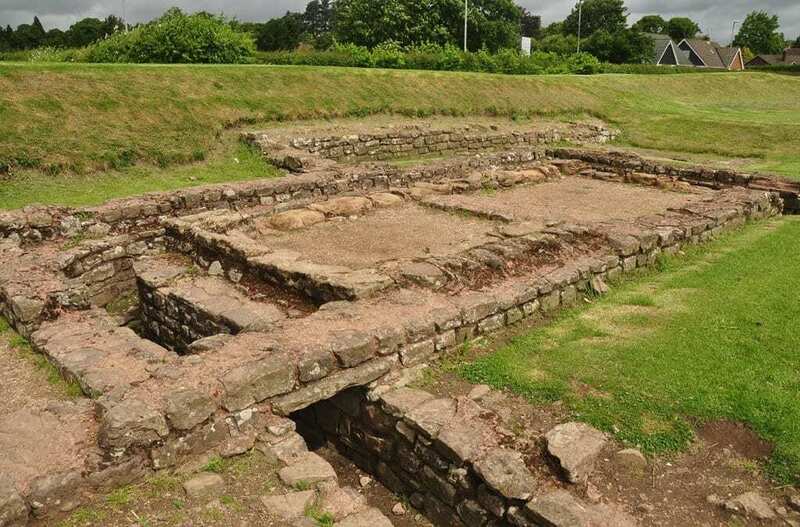 Isca, variously specified as Isca Augusta or Isca Silurum, was the site of a Roman legionary fortress and settlement or vicus, the remains of which lie beneath parts of the present-day suburban village of Caerleon to the north of the city of Newport in South Wales. Isca was founded in AD 74 or 75 during the final campaigns by Governor Sextus Julius Frontinus against the fierce native tribes of western Britain, notably the Silures in South Wales who had resisted the Romans’ advance for over a generation. Headquarters of the Legion “II Augusta”, which took part in the invasion under Emperor Claudius in AD 43, Isca is uniquely important for the study of the conquest, pacification and colonisation of Britannia by the Roman army. There may still have been an occasional military presence as late as the early 4th century, but the fortress was probably later taken over by the people of the surrounding vicus.